Impressive Butterfly shot, composition exact, light and detail impressive. Bokeh out of this world. Subliem genomen. Deze foto heeft alles wat je als fotograaf kan verlangen. Great sharp macro. Beautiful colors and bokeh. "V"
Wow, beautiful image with this lovely butterfly and flower. The colors as well are most appealing. 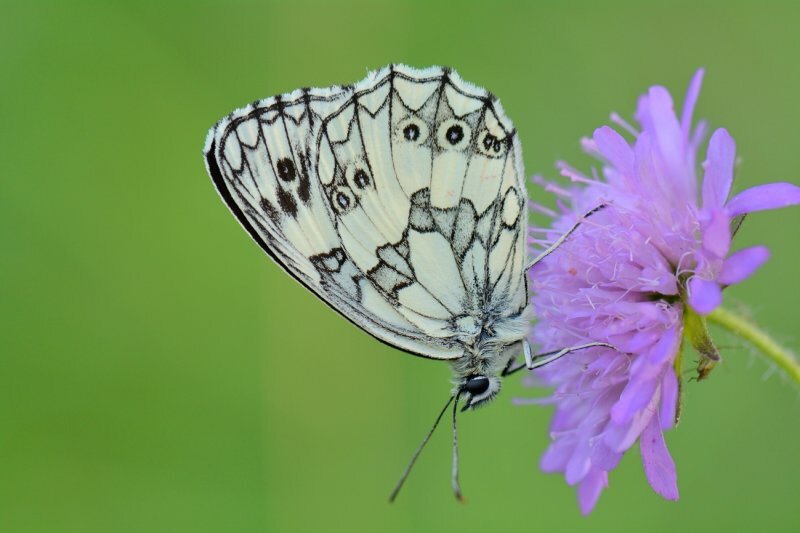 V.
Wonderful soft colors with the superb details of the marbled white.